When you're planning to get engaged and want to make your proposal as romantic as possible, finding the ideal setting is one of the first things you need. Of course, many couples have a place that holds special meaning to them, but many opt for a romantic outdoor setting, a romantic restaurant, or special event. For a dramatic, scenic, or romantic backdrop that will make for some divine "she/he said yes!" photos (or videos), and a great story to share in the years to come, use this list of unique places to propose in ​Vancouver, BC. In any season, Grouse Mountain is one of the best places to propose in Vancouver. You can propose while ice skating in winter or overlooking the incredible views of Vancouver in summer. In fact, a finalist for bride.ca 's "Canada’s Best Engagement Photos of 2012" comes from Grouse Mountain. You can also book professional engagement photos through Grouse Mountain, too. Grouse Mountain is not the only spot in Vancouver to boast breathtaking views of the city and mountains, there's also English Bay Beach (where you can bring a picnic and champagne), the top of Queen Elizabeth Park (where you can jump for joy with the dancing fountains), and several more. Some of the most romantic places to propose in Vancouver are on our secluded beaches, where you and your partner can feel truly alone. A favorite proposal spot is Third Beach at sunset (in Stanley Park), which is accessible only on foot or bike. Wreck Beach, also accessible only on foot (you have to hike down a cliff trail), feels like a world away from the city, with its raw, natural beauty. One of the most unique ways to propose in Vancouver is on the water, and there are many ways to do it. You can rent a private boat from Granville Island to travel False Creek, you can propose after a candle-lit dinner and dancing on a harbor cruise, or you can rent a kayak at Ecomarine and propose off Jericho Beach. Restaurants are always among the most popular spots to propose in Vancouver. You can choose the restaurant where you had your first date, a luxurious fine dining restaurant where you can propose after a sumptuous meal or a restaurant with incredible views. One of the top attractions in Vancouver, Deep Cove is one of the most beautiful spots in the Lower Mainland. 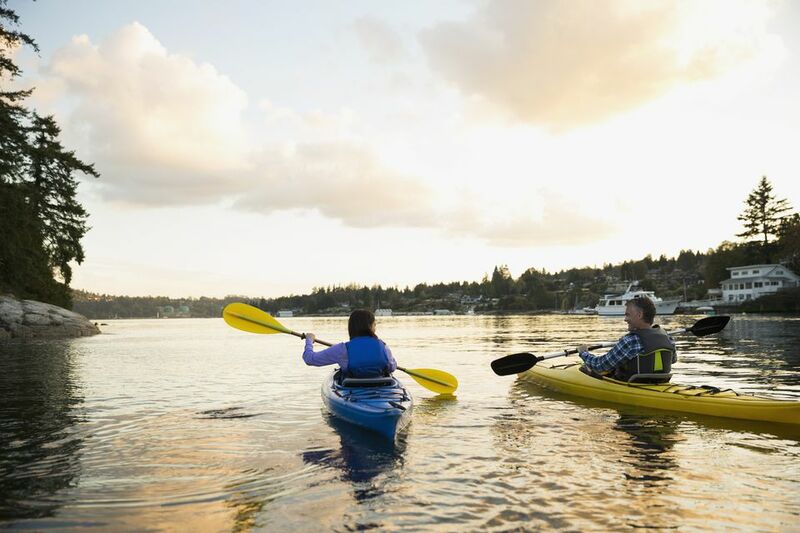 You can propose while kayaking among sea lions and eagles, on the rugged beach at Cates Park, or you can boat past Deep Cove further into Indian Arm for spectacular scenery. For sheer adorableness, a marriage proposal on a bike for two, ridden along the scenic Vancouver Seawall, can't be beat. You can rent a tandem bike at Bayshore Bike Rentals on Denman Street. One unique place to propose in Vancouver is the Lighthouse in Stanley Park, at Brockton Point. Vancouver has many incredible romantic getaways--perfect for proposing!--just a few hours away by car/ferry. Propose in the Harrison Hot Springs, at a spa in Tofino, or a bed-and-breakfast in Victoria. If you and your partner love camping, you can propose on your own private camping trip surrounded by nature.